Samsung released the Galaxy Note 4 in October 2014, in black or white. It has 32GB of internal memory and can be externally expanded up to 128GB. The Galaxy Note 4 has a 5.7″ super AMOLED touch screen with Corning Gorilla Glass and fingerprint sensory technology (PayPal ceritifed). It also has a 16MP camera with a 2160p video recorder, and a 3.7MP front-facing camera with a 1440p video recorder. The Note 4 supports simultaneous image and video recording, face and smile detection, and panorama – to name a few. The Note 4 is highly recommended for business purposes. With the S-Pen Stylus, you can easily sign documents, write down memos and phone numbers, or simply draw a picture. With its octa-core processor and 3GB RAM, the Note 4 does not disappoint in speed and efficiency. 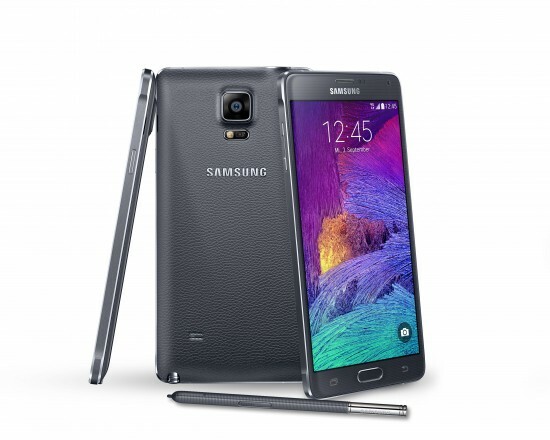 The Galaxy Note 4 also supports Quick Charge 2.0; charge your Note 4 up to 60% in just half an hour! Unlock Your T-Mobile Galaxy Note 4 Today!